Compositions: 1 vial contains 10 ml solution for injections; each ml contains trenbolone hexahydrobenzyl-carbonate 100 mg.
Excipients: Benzyl alcohol, benzyl benzoate, peach oil. 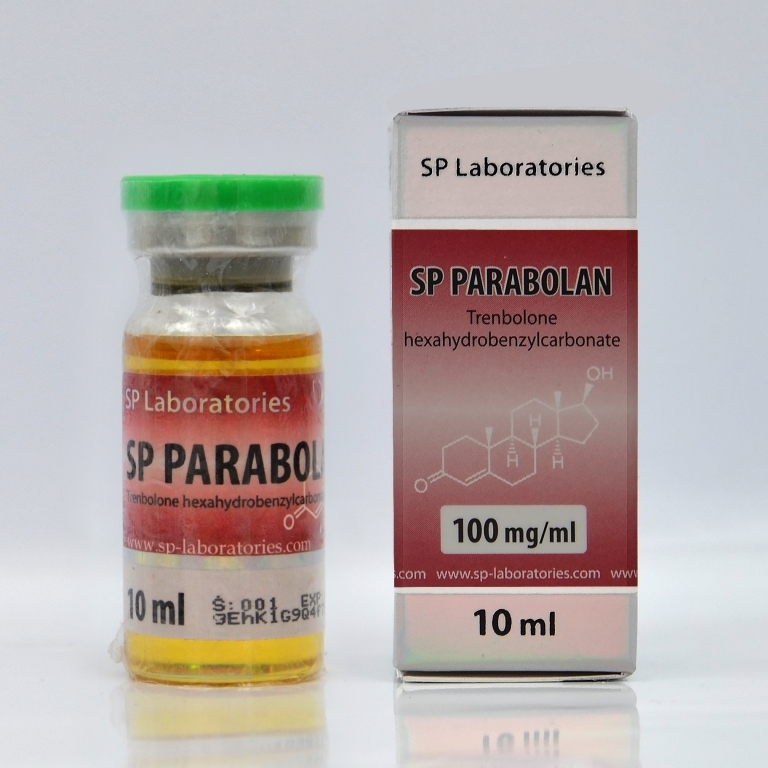 SP Parabolan is a strong anabolic with androgenic effect. Is great for rapid growth of muscle mass and strength. Strong androgenic effect combined with the lack of estrogen can lead to the burning of fat, so is an excellent steroid for defining. Most frequently administered dose is 228 mg per week, but you can get good results with lower doses. Can occur androgenic side effects as hair loss, acne, increased aggression, oily skin. SP Parabolan easily suppress the own production of testosterone, so is recommended to be combined with clomed or tamoxifen associated with HCG.